Let's brighten this joint up a bit. How about we add some illuminated bling? 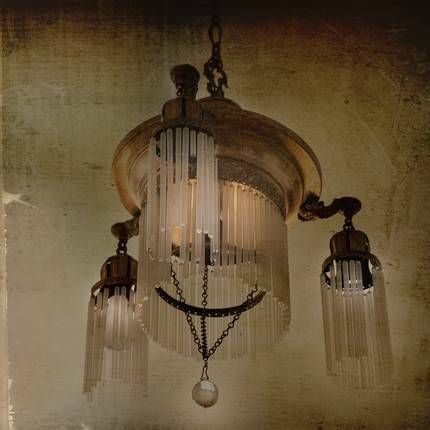 Alive with the sparkle of a thousand light fragments, a crystal chandelier introduces a vintage-style romance to any space. You can almost imagine this piece gracing the Hall of Mirrors at Versailles. I found it instead in the shop of sheriscrystals. And if you want a piece truly suited to your little princess, this would be sure to please. 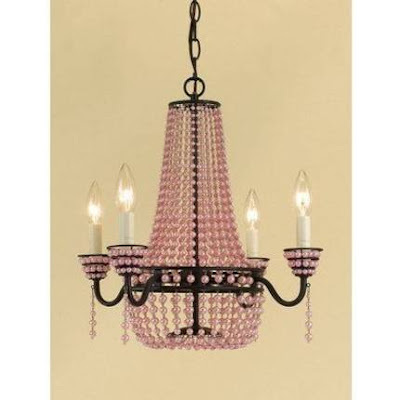 Find this pink, pearled fixture in the shop of walldecaldiva. 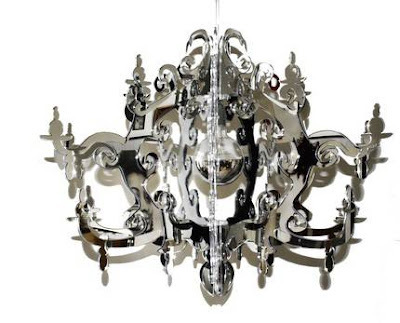 A fantastic play upon a traditional style, this chandelier has been cut from mirrored glass, and it is a functional piece. 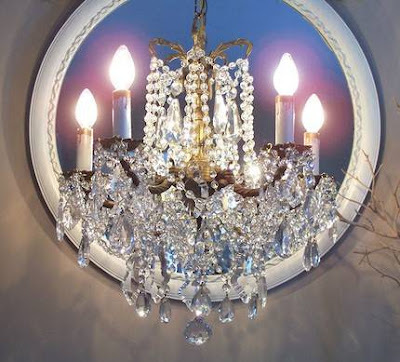 Imagine the reflection and the refraction of the light from this elegant fixture! This piece was crafted by accentcph. Do you lack the space or the budget for a new lighting scheme? Do you desire the crystal elegance? Why not try this whimsical and cheerful play on the original? 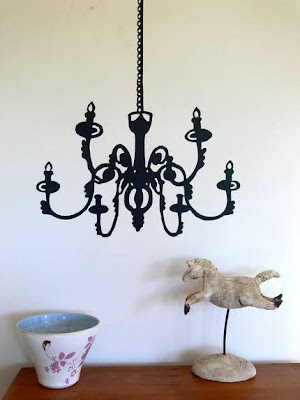 Find this wonderful chandelier wall decal in the shop of flatbird. Now, this one may not be particularly illuminating, but it is certainly captivating. This chandelier is a metallic art print photograph from TheLonelyPixel. The image was captured in Montreal's Plateau.